THE very Best of CLAVIA NORD LEAD III - Large unique original studio Samples Library 1.2GB over 1,600 objects 24 bit/44.1kHz Multi-Layer WAVEs Samples on DVD. 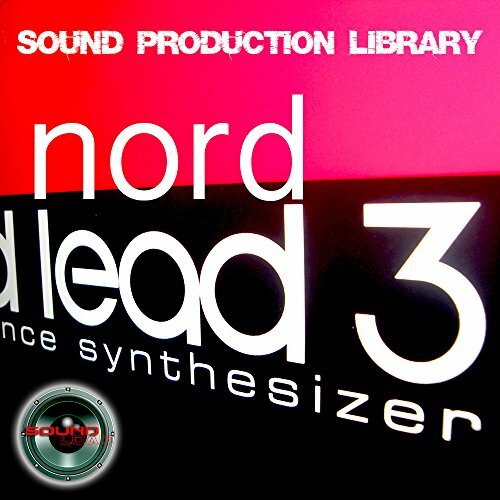 If you prefer to save time and download your purchase, please let us know!>>>>>>>>>>>> THE Legendary NORD LEAD III Sounds: LEADs, BRASSes, BASSes, MultiBASS, DarkBRASS, Reso PADs, WarmSYNTHs, DarkPADs, STREENGs, DetuneSWEEPs, SynthBASS, DanceORGANs, PianoPADs and more... Great for DANCE music production >>>>>>>>>>>>>>> We offer a HUGE unique studio collection of hard to find, very rare instruments and sounds, production kits, ethnic instruments & sounds, loops and grooves and many other TOOLS for successful and quality work, music composing and creating, pre/post production. All original samples in WAVEs format, single and multi-layer, mapped and ready for download and work. >>>>>>>>>>>>>> All the Samples are compatible with any PC/Mac Music Software/Plug-In`s, Music Sequencer/Sampler/Hard ware Synth's, that support WAVES/AUDIO Files. This ultimate collection offered is an excellent for any musician at any level, for anybody looking to get into sample-loops-based music/recording, are designed to grow and expand with you into complete and professional sounds. Very easy to work: recording, looping & creating perfect sound. TOP-studio recorded and mastered, mapped, ready for download and creative work. THE very Best of CLAVIA NORD LEAD III - Large unique original studio Samples Library 1.2GB over 1,600 objects 24 bit/44.1kHz Multi-Layer WAVEs Samples on DVD. If you prefer to save time and download your purchase, please let us know!